Dutch broadcaster TROS has revealed that their entry for the 2010 Eurovision Song Contest will be written by their well known composer Pierre Kartner, who also wrote their 1973 entry. A national selection will take place on 31st of January and 7th of February. It is not yet known under which format the Dutch population will pick the song that will represent the country in Oslo at the 2010 Eurovision Song Contest, but it is no secret anymore that the song will be written by 74 year old Pierre Kartner, whose song De Oude Muzikant, Ben Cramer came 4th with at the 1973 Contest. The 2010 entry will also be in Dutch – this will be the first time since 1998 where the Netherlands will be singing in Dutch at the Eurovision Song Contest. 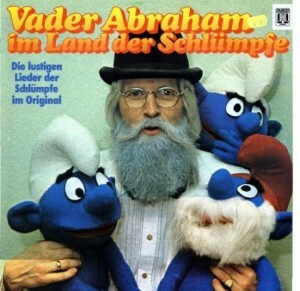 Pierre Kartner, also known as Vader Abraham (Father Abraham) is mainly known for his Smurf songs from 1977, which brought him to the top of the charts in 16 countries and made him quite a hero in his home country where he has also been rewarded as the best composer of the country. Time will tell if a great composer with success will do the trick for the country that hasn’t made it to the Eurovision Song Contest final since 2004 where Re-union came 6th in the semi-final and 20th out of 24 in the final with their song Without You.